Core Drill Rental – Core Cut – M-3 Anchor Core Rig, is available for rent in Rochester NY, Ithaca NY and the entire Western New York region from the Duke Company. The rental Core Cut M-3 Anchor core rig available for rent, features a single switch, 1.5 inch square mast, swivel base and leveling screws. 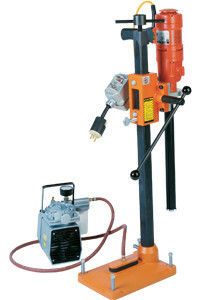 This core drill’s light weight, slide handle, and swivel mast enable drilling in tight spaces.